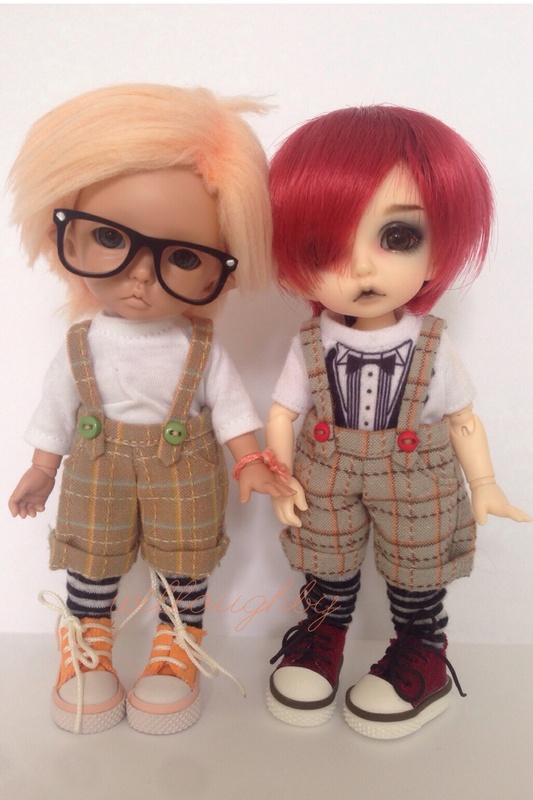 ever since i received my two tan dolls from Fairyland’s first Pukifee tan event and saw how adorable they were, i have had a tan Pukifee Pio on my wishlist. you could say he was the grail doll for me – the one i would ensure i purchased, no matter what. i ordered this little cutie in the last week of the event last November. he was ordered through DDE, so i expected at least a four month wait, but he surprised me by arriving in just over two months. he doesn’t have a faceup (this perhaps was why he arrived a little quicker), and i am still deliberating as to who i will commission. i wasn’t ready for his arrival, and to be honest, i still haven’t got much for him. luckily for him, i have plenty of clothes that he can share! 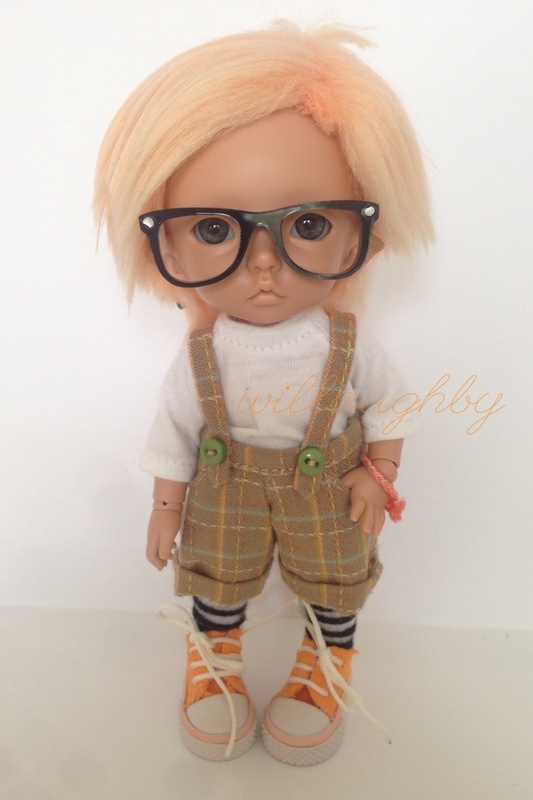 i’m not sure that this will be his final wig, but i plan for him to keep the glasses (depending on whether or not they will damage his eventual faceup). i have named him Dashiell, as he and Gabriel will be best buddies and i thought the names worked together quite well.